It has been four months since the governor declared a drought emergency in California—and the Economic Summit first outlined 11 ways the state could respond to the expanding water crisis by providing relief where it is needed most, while also putting all of the state’s regions on a path to sustainable economic vitality. So, with the state’s snowpack already melting and many communities bracing for a long, dry summer, how have the Summit’s proposals been received—and what’s left to be done? The state has already passed legislation that directs nearly $700 million toward drought relief—largely in line with what the Summit recommended—and the state budget that will be finalized next month includes several key elements pushed for by the Summit. But several major policy opportunities to advance the Summit’s views remain—including a still-unfinished water bond likely headed for the November ballot, a set of bills that would expand the state’s groundwater management system, and a still-nascent debate over how to strengthen local infrastructure financing authority. A summary of the Summit's proposals can be found below—arranged by the likely policy vehicle for each of Summit ideas. Below each recommendation is a list of Summit blogs with updates on its current status. The Summit believes the budget’s long-term effectiveness will depend on how quickly the state can encourage regions to develop solutions to statewide problems. 1. Prioritize integrated proposals in Water Action Plan: Water investments in the state budget (many of which were included in drought emergency legislation passed in February) should support projects that achieve multiple state goals—controlling polluted runoff and recharging groundwater, for example, while managing watersheds to reduce fire hazard. 2. Broaden the authority of Infrastructure Financing Districts: Water management infrastructure should be included in expanded local financing authorities. 3. Prioritize Strategic Growth Council grants: Grant programs in the budget aimed at supporting sustainable communities strategies should prioritize multiple-benefit approaches—land-use patterns that reduce energy and water consumption and link watershed management with urban areas. The Summit argued for a set of drought response actions that also promote long-term sustainability. 4. 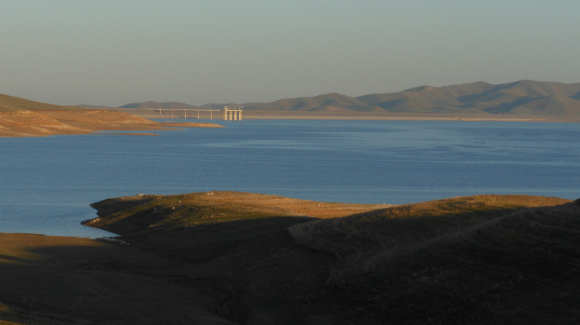 Focus drought emergency funds on projects with multiple benefits: The largest piece of the newly-signed drought legislation is a $472 million grant program to support regional water projects. This competitive grant program should support projects that achieve multiple benefits—reducing fire danger, for example, while improving water quality and assisting those most impact by drought. 5. Expand drought emergency measures to get water where it’s needed: The administration should use the water emergency to shorten and simplify the water transfer and permitting processes. 6. Provide incentives for sustainability in water bond: In a retooled water bond, the state should include a new competitive process for supporting regions that deliver water most efficiently. 7. Encourage congressional action that allows more discretion and flexibility: Federal drought aid should increase certainty in water delivery by aligning state and federal environmental regulations. The Summit pushed state leaders to incorporate into long-term environmental planning the actual scenarios in which a more-populous California will need to thrive. 8. Elevate water sustainability in Environmental Goals and Policy Report: The state’s environmental policy framework must ensure its water objectives reflect the new realities evident in the drought. 9. Provide guidance on water conservation in local guidelines: The Office of Planning and Research should include specific guidance on how to incentivize conservation in its General Plan Guidelines. The Summit also urged the state to empower more Californians to be part of the long-term response to the state’s changing climate. 10. Identify water, land-use data and provide access to it: The state should identify data that will impact water use and allow problem-solvers to access it. 11. Expand existing open-source resource planning efforts: The administration should scale up open-source software and resource planning efforts helping regions made informed water choices.